At CoCA, we are embracing and recognizing our identity as a sanctuary. We want to create a space for our members, artists, volunteers, and the broader arts community, where people feel safe and welcome. Thanks to all of you who’ve helped build that sense of sanctuary already! "CoCA has endured and persevered in Seattle. I think this gallery and its artists have the chance to really grow into something amazing for Contemporary Art. We just keep going!" “High quality art and people!!!" June Sekiguchi providing feedback at the Members Portfolio Review. "Part of the Seattle art community"
"Lots of people creates a good buzz"
"Meeting new people in the art world"
"I felt super welcomed and appreciated at all of the events :)"
"The people and environment are wonderful"
"The member's show and closing gave me an opportunity to meet other Seattle artists, and the portfolio review was extremely helpful. You guys rock!" Thank you for all of that! 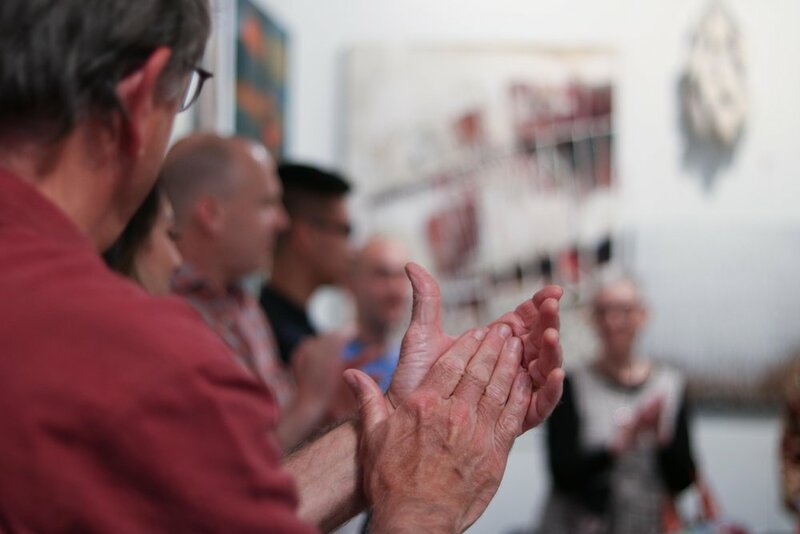 We’ll work on your constructive input, to help us continue serving as a catalyst and forum for the advancement, development, and understanding of contemporary art, and as a sanctuary for all. If you didn’t get a chance to chime in, or have more to add, we would love to hear from you! Please don’t hesitate to email membership@cocaseattle.org and tell us about your experience with CoCA.